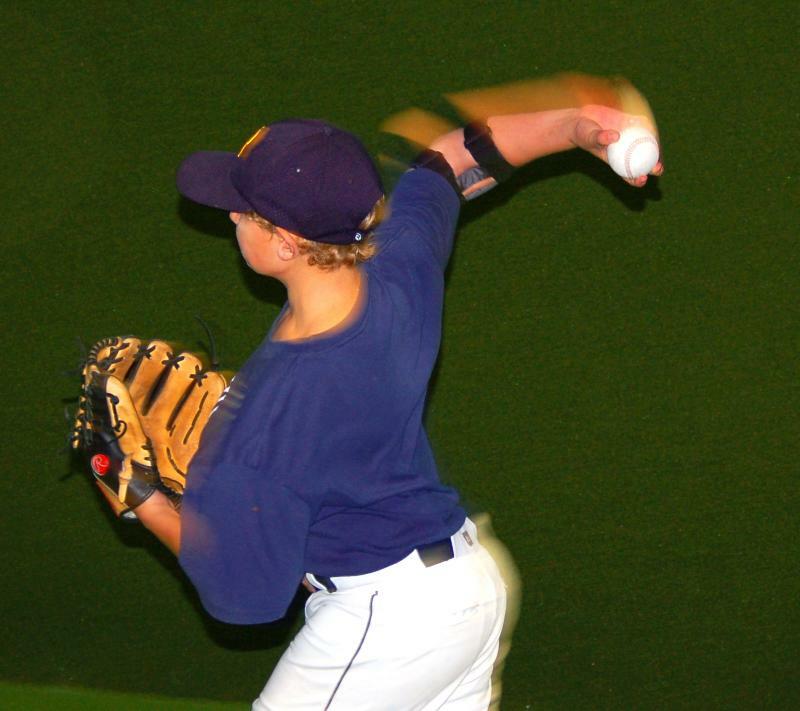 Nick Kafer wearing the ThrowMAX demonstrates Maximum Shoulder External rotation while throwing a two seam fastball. The Arm blurs with acceleration as shoulders square to target. Problems with throwing mechanics? Check out the #1 selling throwing tool in the world... The ThrowMAX! Work in the off season to develop sound throwing mechanics. The ThrowMAX is designed to be used when throwing a ball. Can also be used doing the Towel Drill. We have gotten great results throwing a foam ball at a Plexiglas Mirror. Players learn by seeing, feeling and hearing. The ThrowMAX helps players feel the proper motion and develop the muscle memory needed to have a great arm with great mechanics. A great arm can go a long way in the game of baseball. Get a ThrowMAX and keep them in the game! Check out some of the interesting posts on the Ask the Umpire Forum on the Baseball Excellence Forums section. Jim and his friends are at the ready to help coaches and umpires with their questions. Is the world's smallest full performance radar gun. This award-winning device delivers the same great accuracy and performance as other professional radar guns, at a fraction of the cost. Perfect for a wide variety of applications including traffic safety and sports. Independently tested and certified to be accurate to within +/- 1 mph, it gives over 10,000 readings on a single set of batteries. Includes a hardshell case, wrist strap, 2 AAA alkaline batteries, and an illustrated Quick Start Guide. Baseball is a very simple game: "get on, get over, and get in"! The thing that makes the game so tough is the mental stress/anguish so many players feel. At all levels of the game, the participants put so much pressure on themselves to execute that they lose sight of the mission. It is a team game and you do not have to get a hit EVERY time up...in fact, many times, outs can be as productive as line drives and base hits. Baseball is a game of fallibility; every player is going to make a lot of outs and many physical errors. The key is to delimit these, eliminate the mental errors and create positive situations that help the team gain an advantage. Having a quality at bat(using up the pitches), diving to keep a ball in the infield, hitting a cut-off man to keep a runner from advancing, etc. are all non-recorded important facets of the game. None of these go in the scorebook BUT each can be the deciding factor in the game!